We've got a full hands-on with the new Sony phones from MWC, but here's the gist. The phones have narrower bezels than past Sony phones, and there's a curved glass back on the XZ2 (the Compact is plastic). The fingerprint sensor and single camera sensor are a bit farther down on the back than most phones, and the chassis is rather thick. The phones have a Snapdragon 845, 4GB of RAM, and 64GB of storage. The XZ2 sports a 5.7-inch 1080p screen, and the Compact has a 5-inch 1080p screen. You'll be able to pre-order the phones from Best Buy from April 13th to the 19th. The XZ2 is priced at $799.99, and the XZ2 Compact is $649.99. The phones launch on April 20th, and they'll be in Best Buy's brick-and-mortar stores on May 6th. Amazon gets the phones starting on May 20th along with other unnamed retailers. WHAT: Sony Mobile Communications (“Sony Mobile”) is pleased to announce that Xperia XZ2 and Xperia XZ2 Compact will be available in the United States for pre-order only at Best Buy from April 13 – 19, 2018 and can be purchased online from Best Buy starting April 20, 2018. Both models will also be available in-store at Best Buy on May 6, 2018, and through Amazon and other participating U.S. retailers on May 20, 2018. Suggested retail price is $799.99 for Xperia XZ2 and $649.99 for Xperia XZ2 Compact. Introducing immersive innovations for optimizing mobile entertainment experiences and creativity, Xperia XZ2 and Xperia XZ2 Compact deliver huge advancements in camera, display, and audio technology as well as a strikingly sleek and rounded design. 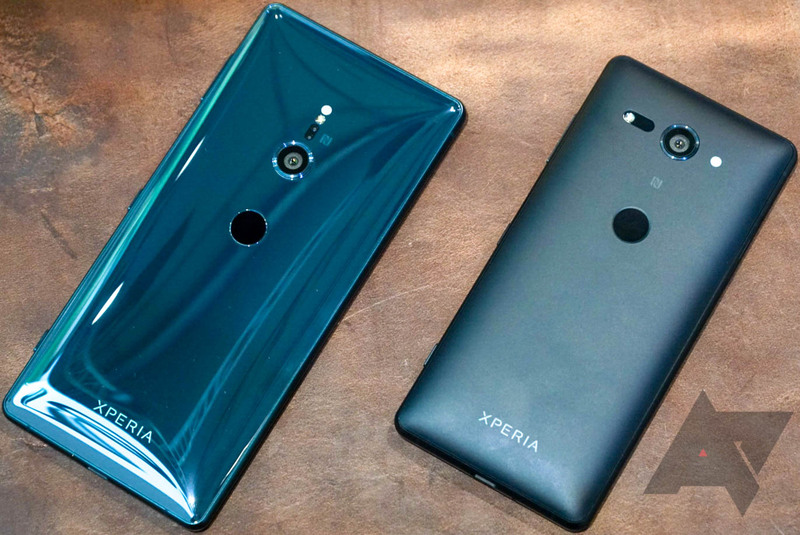 Both smartphones feature an all-new “ambient flow” approach, premium materials, and IP68[i] water-resistant design renowned in Xperia smartphones. 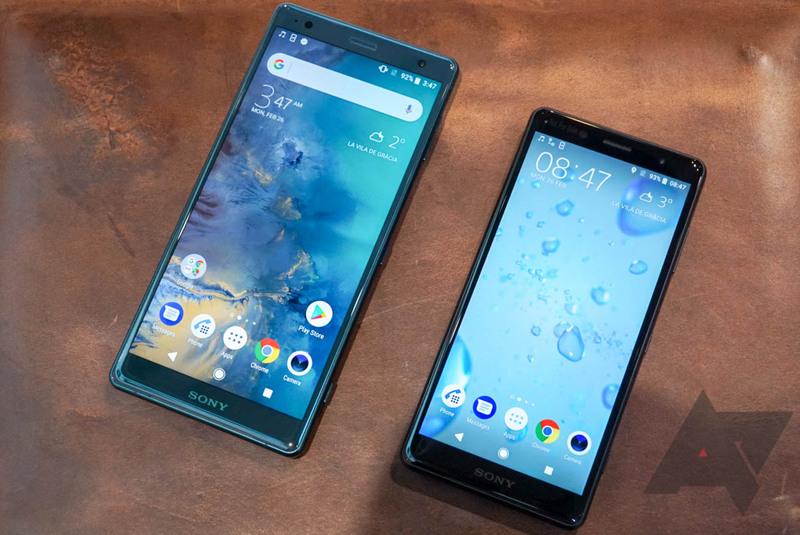 The advanced design houses Sony’s stunning 18:9[ii] aspect ratio Full HD+ HDR display (5.7-inch on Xperia XZ2; 5-inch on Xperia XZ2 Compact), which produces crisp, clear images and videos. These smartphones are also equipped with the Advanced X-Reality engine to optimize your viewing experience by up-converting any standard dynamic range (SDR) downloaded or streaming videos to a near HDR-quality viewing experience. S-Force Front Surround Sound speakers deliver clear and more dynamic sound. High-quality audio is also provided via the truly authentic sound of Hi-Resolution Audio[iii] together with DSEE HX technology for upscaling. Xperia XZ2 also introduces the Sony Dynamic Vibration System, a highly advanced visual-sound vibration technology that makes you feel what you hear. It’ll stimulate your senses to deliver more immersive music, video, and gaming experiences. Xperia XZ2 and Xperia XZ2 Compact are equipped with the Sony 19MP Motion Eye™ camera system and a 1GB memory-stacked camera sensor, which was the world’s first system to deliver 960fps Super slow-motion video capture in a smartphone. The camera system has been upgraded to now record Super Slow-Motion in either 1080p Full HD or HD mode. Also, for the first time ever in a smartphone, the camera on both models captures video in spectacular 4K HDR[iv]. Both smartphones are powered by the Qualcomm® Snapdragon™ 845 Mobile Platform with X20 LTE and will ship with Android™ 8.0 Oreo. Xperia XZ2 features a large 3180mAh battery (while XZ2 Compact comes equipped with a 2870 mAh battery), and both come with advanced battery features, such as Smart Stamina and STAMINA mode, plus Battery Care[v] and Qnovo Adaptive Charging technology. Xperia XZ2 comes in four finishes (Liquid Silver, Liquid Black, Deep Green, and Ash Pink), while Xperia XZ2 Compact comes in White Silver, Black, Moss Green, and Coral Pink. 5.7-inch, extended 18:9 aspect ratio HDR Full HD+ display featuring brand new “Ambient Flow” design with durable 3D Gorilla Glass 5 on front and back. 19MP Motion Eye main camera system with 1080p Full HD Super slow-motion video capture at 960 frames per second. 5MP front camera with new selfie 3D Capture for scanning your face and posting on Facebook. Memory-stacked Motion Eye image sensor with 960 FPS Super slow-motion video and Predictive Capture capability, Predictive Hybrid Autofocus, anti-distortion shutter, 1/2.3” Exmor RS for mobile memory stacked sensor. Innovative force-feedback experience with new Sony Dynamic Vibration System – feel every beat, action, and reaction of your games, music, and video. Capture and share 4K HDR resolution videos with better color, contrast, and detail. Automatic up-conversion of SDR streaming and downloaded video into near HDR-quality experiences. Qualcomm Snapdragon 845 processor with X20 LTE and 4x4 MIMO. Dual SIM slots. 4GB RAM/64GB storage with up to 400GB MicroSDXC card support. 3180mAh battery, Smart Stamina and STAMINA mode, plus Battery Care, Qnovo Adaptive Charging technology, and QI™ wireless charging. Four finishes: Liquid Silver, Liquid Black, Deep Green, and Ash Pink. The world’s most compact 5-inch smartphone[vi] with extended 18:9 aspect ratio HDR Full HD+ display featuring brand new “Ambient Flow” design with durable 3D Gorilla Glass 5 on the front. Anti-scratch hard coated polycarbonate back panel with frosted finishing and an anti-twist and bend aluminum frame. S-Force Front Surround Sound speakers, Hi-Res Audio, DSEE-HX support. Capture and share 4K HDR resolution videos with better color, contrast, and detail. Automatic up-conversion of SDR streaming and downloaded video into HDR-quality experiences. 2870 mAh battery, Smart Stamina and STAMINA mode, plus Battery Care and Qnovo Adaptive Charging technology. Four finishes: White Silver, Black, Moss Green, and Coral Pink. First device in the XZ series to be Verizon-certified.